In addition to cell defenders, another important component of the immune response is the complement system. Cell defenders react only after they encounter microorganism. Pathogens can, however, avoid contact with the cells of the immune system. If this happens, complement system provides a second means of defense. 1. The definition. The complement system series of complex protein circulating in the blood that helps phagocytosis or kill the bacteria directly by puncturing the bacterial cell membranes. Proteins are activated and work (Supplement), antibodies, hence the name. A. destruction of pathogens. Components of complement can destroy certain microorganisms directly by forming pores in their cell membranes. To perform this task, complement system creates protein block, called the membrane attack complex, capable of piercing the membranes into cells by certain bacteria (lysis). B. 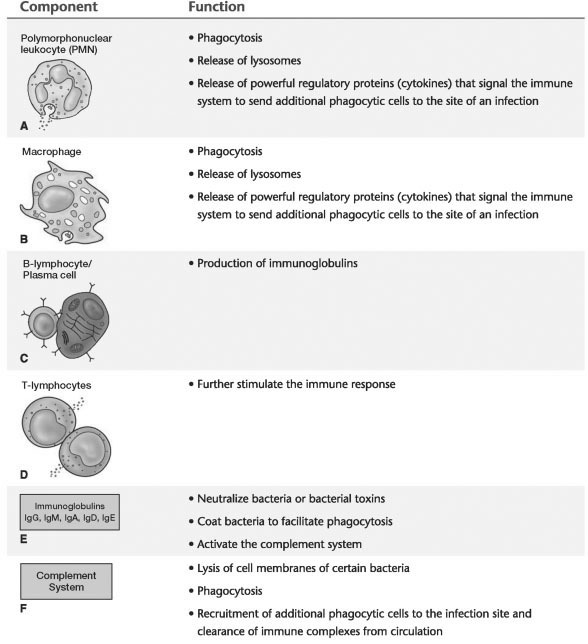 The Opsonization Pathogens. Complement system facilitates the process of ingestion and destruction of microorganisms by phagocytes. This process, known as the opsonization pathogens, is the most important event of the complement system. Components of complement coat the surface of bacteria, allowing the phagocytes to recognize, to absorb, to destroy the bacteria. C. recruitment of Phagocytes. 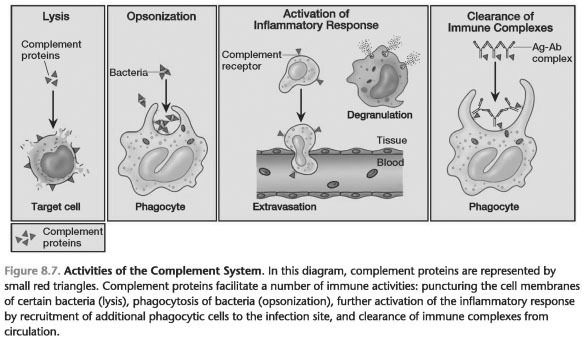 Complement system recruits additional phagocytic cells at the site of infection. D. Immune Clearance. Finally, complement system performs "housekeeping", the delete function of immune complexes from circulation. Adjacent teeth After filling tooth hurts Baby growing teeth chart Bone defects Cheilitis How many wisdom teeth do we have?